Specialty boxes from 2 to 6 pieces of candy. Ideal for weddings, parties and special events. 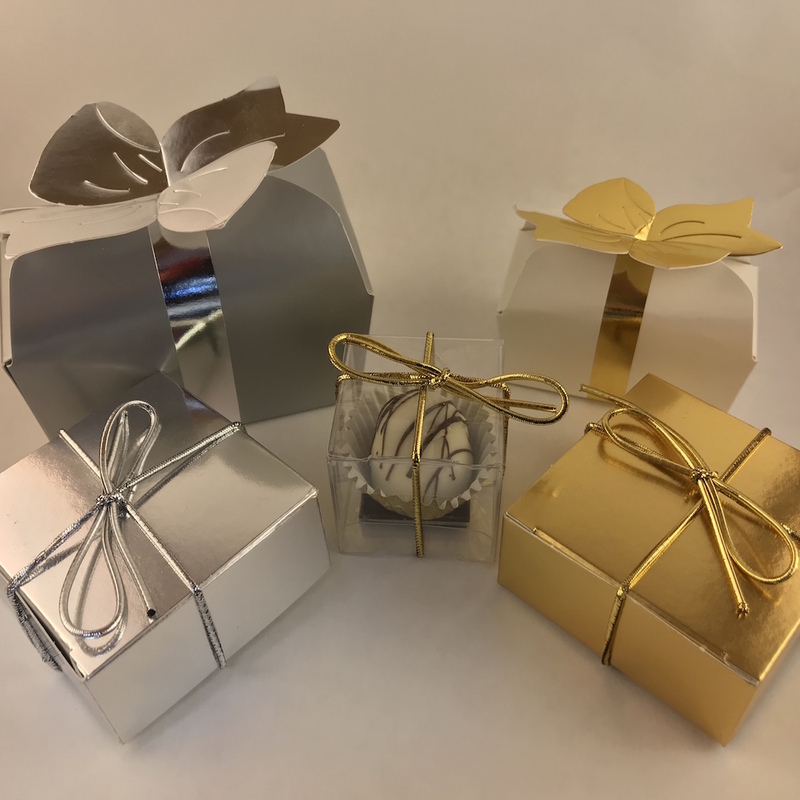 Boxes shown range from $1.50 to $5.95 per gift box. You can custom pick your candy and can also be combined with our custom stamped chocolate coin. Please give us a call 888-98-CANDY and we’ll help fit the right gift with your budget.